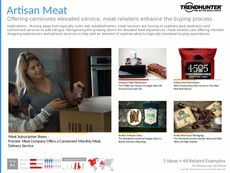 Find Better Ideas, Faster ® with a custom food display trend report, our PRO Dashboard and 80+ categories of premium trend reports. 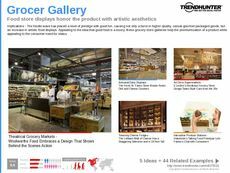 In the Food Display Trend Report, the best examples of grocery retail displays are identified and analyzed. 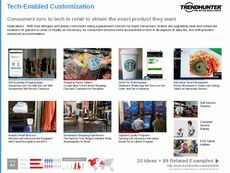 With advances in beacon technology, food display becomes interactive, offering added value to the consumer, retailer and manufacturer through additional information, location-based discounts and brand interaction. 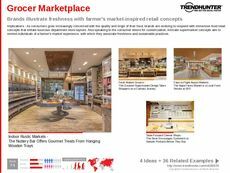 At the same time, the consumer desire for a traditional shopping experience sees large grocery chains incorporating quaint deli counters and visually appealing food displays. 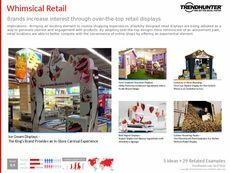 Marketing professionals, retail designers and product manufacturers in the food industry will find the Food Display Trend Report extremely useful in creating retail food displays that will appeal to the consumer, add value to the product, enhance brand identity and ultimately drive sales. 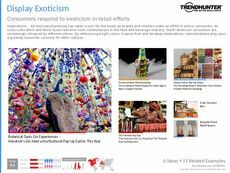 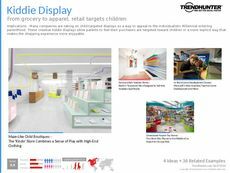 The Food Display Trend Report identifies the most cutting-edge and popular ideas in grocery retail displays.